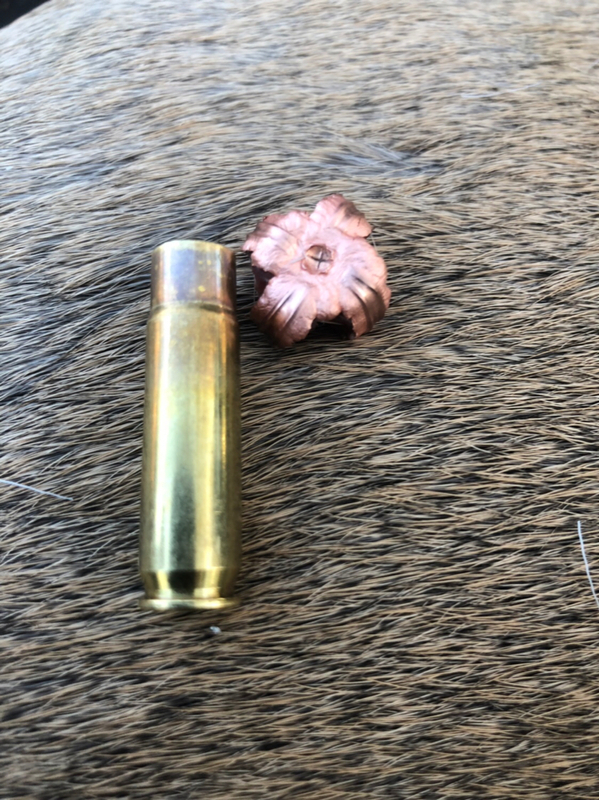 What the thoughts on the 300blk out for deer under 150yrds. 120gr sst running 2100fps my cousin loaded for me. I’ve always bow hunted but have the Ruger Ranch in the blk out. Going Saturday morning with my son & wanted to give him a choice of his bow or the gun. Most likely shot would be inside 75yrds. 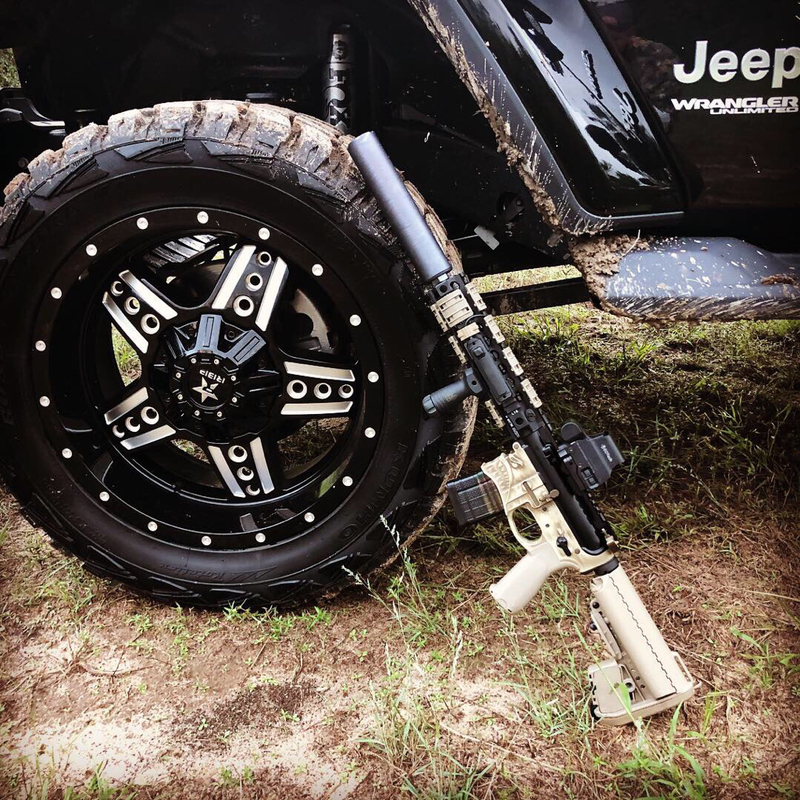 I’ve lost track of the number of deer and pigs killed with my 300 blackout sbr. They’ve all been with the Barnes 110 grain TAC-TX bullet. All within the ranges you’re expecting. I have many customers who use them for the kiddos. They work great. I shoot 150gr Winchester xp and get great results out of it. I have debated on what is going with me opening day. Think the sbr will travel. Last edited by onetondodge; 11-01-2018 at 07:59 PM. 110 TAC TX is the only Bullet I use these days. I get 2315fps out of my 8” SBR. was trying to decide on a truck/kid gun and i think im going with a 300.. will be bolt action axis or american..
I’ve killed a few hogs and several deer with it. 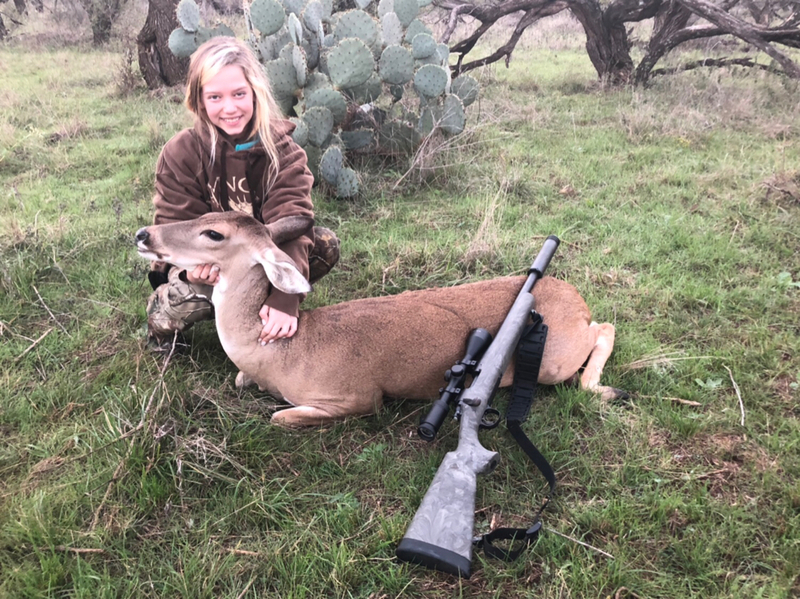 Last weekend my friend killed a doe with a .300 blk out SBR @ 70yds with 110gr. She didn't move. I was quite impressed. I haven't killed any deer but I've killed a pile of pigs with my 300 Blk. I also have a Ruger Ranch. I'm sure it would get the job done. Same here, I use that round and the Honrnady Custom both have but many animals down with out a step. 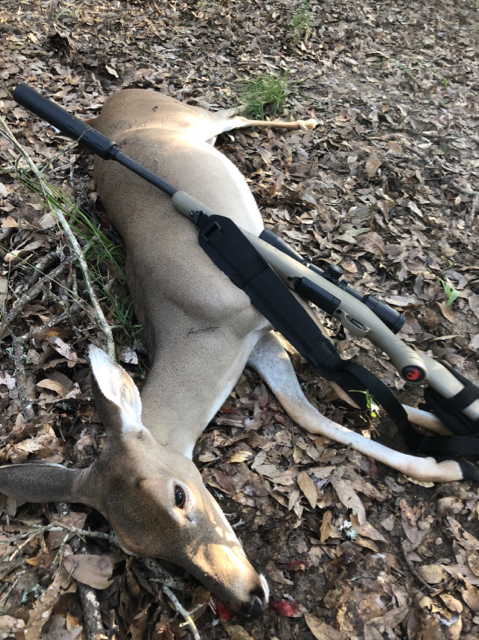 My son and my nephew took their first deer with my 300 blk out. I have loaded up Lehigh Defense 194 grain subsonic rounds (maximum expansion) over 10 grains of Hodgdon 110. I have killed four does with that round in sbr the past couple of years. All shots were less than 60 yards and none of them made it very far. I wouldn't push this particular round past about 75 yds but it is super quiet and fun to shoot. 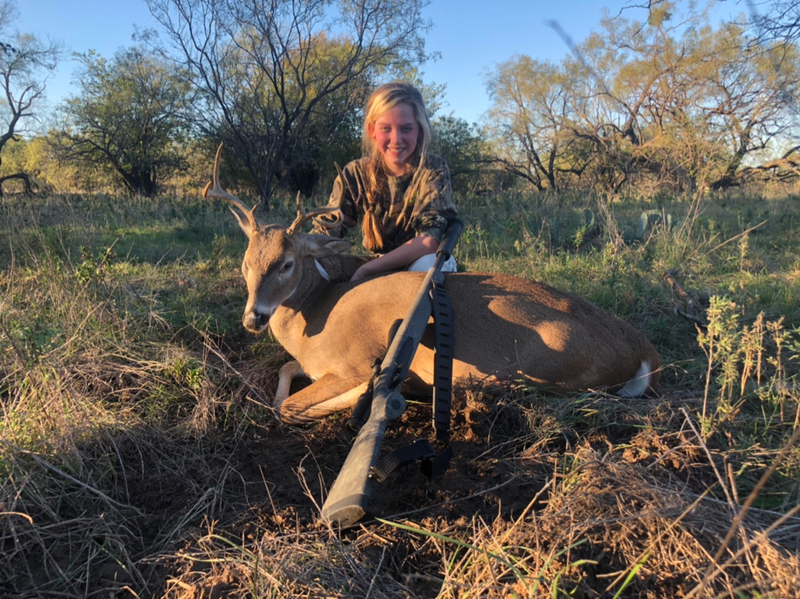 My daughter killed 2 last Saturday. Doe made it about 60 yards. Buck, maybe 20. I got a Remmy 700 blkout last year, but didn't have it dialed in. I'm using H110 powder, CCI primers and 150gr Hornady SST bullets for some head shots. It prints 0.5 MOA with mentioned load. What can are you using? I'm in the market for one for my Remmy 300blk. Man oh Man! A bunch of gents have been giving me some good insight on that same can. Capital Armory has it for a bit over 7bills for just the can. I called my LGS to see if they are part of the SiCo LEO program. They are getting back to me in that. I'm heavily considering the Omega.